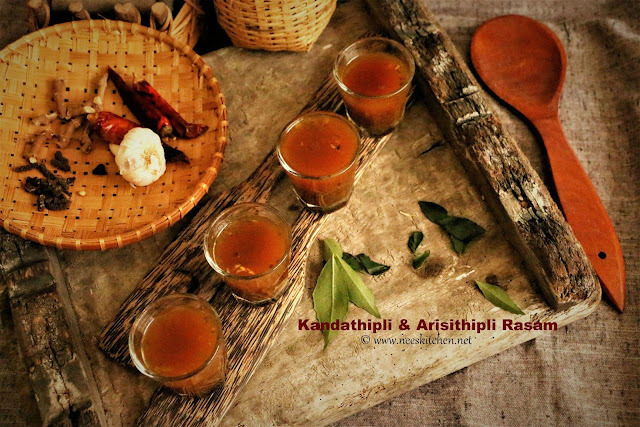 Kandathipli & Arisithipli are medicinal herbs used in cooking as a remedy for cough and body pains. With climate fluctuating in our place getting cough is unavoidable even if it is summer. 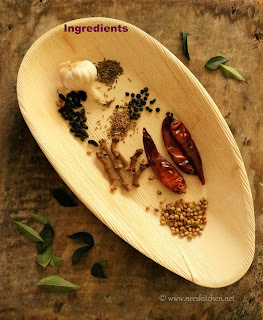 In the video I had used mortar pestle for grinding the rasam powder, it can be done in a mixer. Garlic is optional and I have not included in the video. 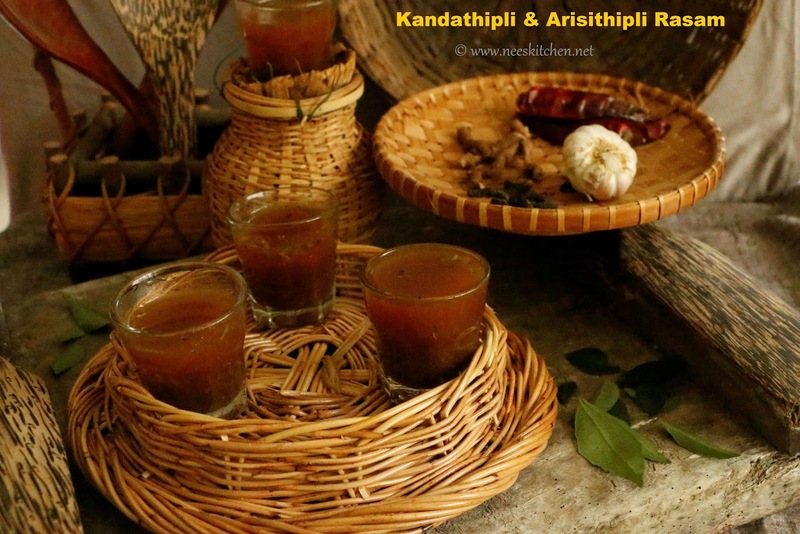 Also see Kanda thipli Rasam recipe which I posted last year. Kandathipli is used for healing body pains while arisithipli generates bodyheat. The recipe is absolutely tasty when the spices are ground in a mortar pestle and the rasam is cooked in a kalchatti. 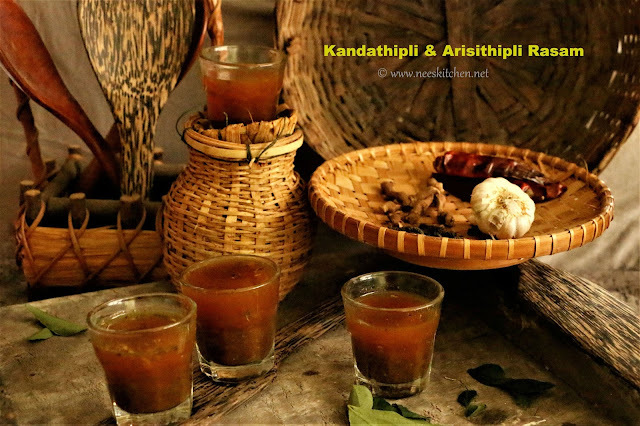 Kandathipli and Arisi thipli are available in any country drugs shop and some of the supermarkets. In Singapore Kandathipli is available in Mustafa and many Indian shops in Buffalo street. 2. Grind it to a fine powder. 3. Take a pan add hing, diluted tamarind water (1 cup), salt, turmeric & curry leaves. 4. Bring it to boil. 5. Once boiled add rasam powder, ½ cup and mix well. 6. Switch off once the rasam is frothy. Add coriander. 7. Temper with ghee, mustard, cumin seeds and dry chili.